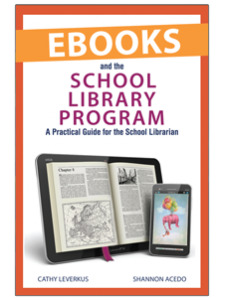 Chapter 1: What is an Ebook? Chapter 3: Why Purchase Ebooks? 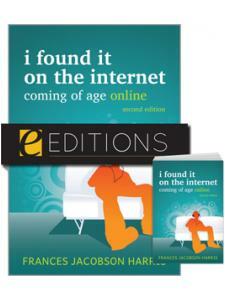 Chapter 10: One-Time ‘Purchase' or Annual Subscription? Cathy Leverkus, AASL member since 1997, is the Director of Library and Information Services at the Willows Community School, a developmental K-8 school in Culver City, California. 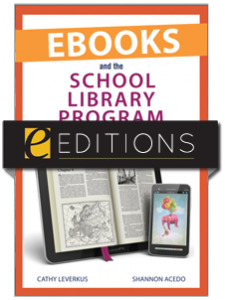 She has been developing fiction and nonfiction e-book collections for the faculty and students at The Willows since 2009, and has written articles on using book apps to supplement the curriculum for Library Media Connection. Cathy is on the board of the Independent School Library Exchange (ISLE), a professional group in Los Angeles, which is where she met Shannon Acedo. Shannon Acedo, AASL member since 1986, is the Chair of the Department of Library and Technology at the Harvard-Westlake Upper School in Studio City, California. She has been a school librarian at both middle and high school levels in the Los Angeles area since 1986. Shannon has served as president of the Independent School Library Exchange (ISLE), a professional group in Los Angeles, and on the board of the Association of Independent School Librarians (AISL).